Built as a passenger vessel under yard No 282 by Société Nouvelle des Ateliers et chantiers du Havre at Le Havre for CLUB MED Marine SAS. 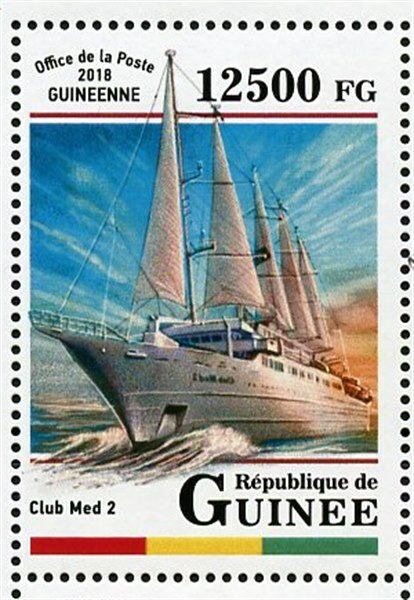 July 1991 launched as the CLUB MED 2. Powered by diesel electric by four 6-cyl. diesel engines, 8,902 hp, (6,800 kW). Two electric propulsion engines 2,945 kW each, twin shafts with controllable pitch propellers, speed 16.5 knots. Rigged as a 5-mast stay-sail schooner. Passenger capacity 386 passengers and 214 crew. 06 October 1992 completed, homeport Mata-Utu Wallis and Futuna Islands. Imo No 9007491. CLUB MED 2 is a five-masted computer-controlled staysail schooner owned and operated by CLUB MED and operated as a cruise ship. It combines the power of seven computer-operated sails with more traditional diesel-electric power, having four diesel generators that power two electric motors. CLUB MED 2 was launched in 1992 in Le Havre, France. 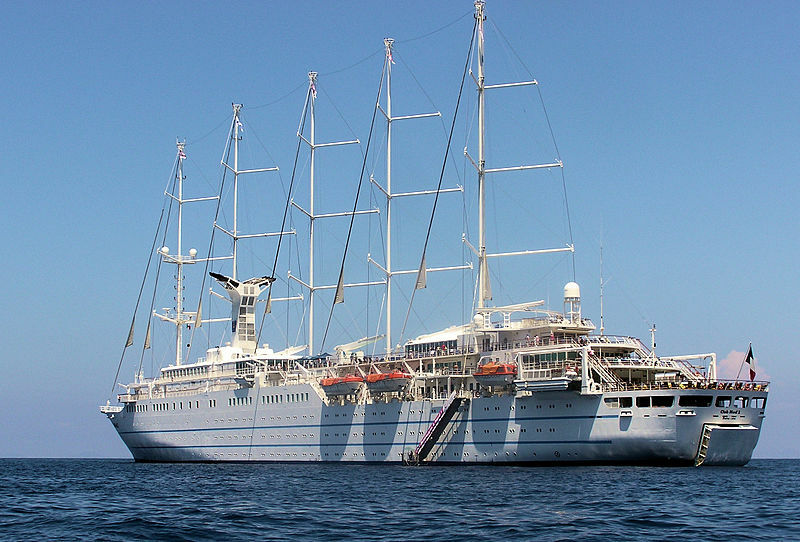 Her sister ship CLUB MED 1 was sold to Windstar Cruises and renamed msy WIND SURF in 1998. The ship, one of the largest sailing cruise ships in the world, carrying up to 386 passengers with a crew of 214, sails the waters of the Mediterranean and Adriatic Sea in the summertime, and the Caribbean in the winter, finding her way into anchorages larger cruise ships cannot reach. The ship provides ballroom dancing, bridge and music, and sails at night making a stop each morning. A water sports deck can be deployed from the stern. CLUB MED 2's European destinations include ports in the Mediterranean, Adriatic, and Aegean Sea. Transatlantic voyages are offered in the spring (eastbound) and fall (westbound). The ship was based on Windstar Cruises' smaller 5,350-ton, 148-passenger WIND STAR, WIND SPIRIT and WIND SONG motor sailing yachts. All were built by Société Nouvelle des Ateliers et Chantiers du Havre, France. Mozambique 2009 12.500 FG sg?, scott?